Extreame Savings Item! 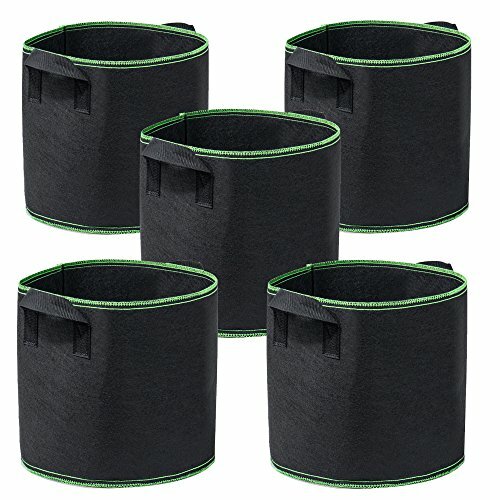 Save 44% on the Garden4Ever Grow Bags 5-Pack 5 Gallon Aeration Fabric Pots Container with Handles by Garden4Ever at The Net Stores Network. MPN: 43237-2. Hurry! Limited time offer. Offer valid only while supplies last. Made of growth friendly felt with sturdy handles straps, washable and reusable. Stops root rot - Great air circulation and water drainage. Perfect for growing vegetables and fruits, boosts plant growth and yields. If you have any questions about this product by Garden4Ever, contact us by completing and submitting the form below. If you are looking for a specif part number, please include it with your message.